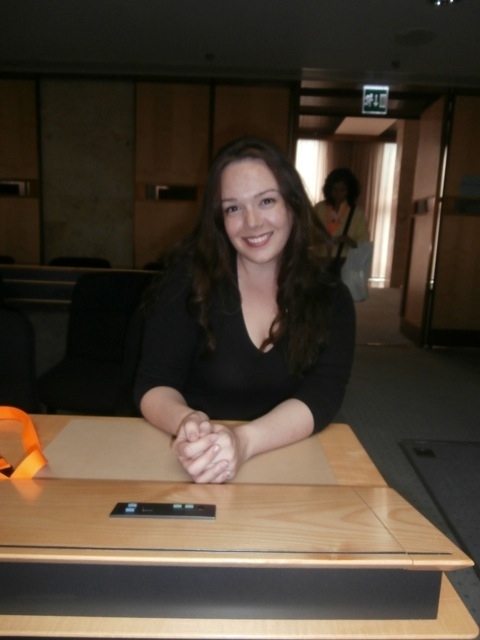 By Laurie Gayle, Board member of the YWCA of Great Britain shares your experience of the 55th CEDAW (the Convention on the Elimination of all forms of Discrimination against Women). To paraphrase a lady who’s been getting quite a lot of press in Britain this Summer, it is a truth universally acknowledged that Government will always fight its corner…even if the room they find themselves in is round. 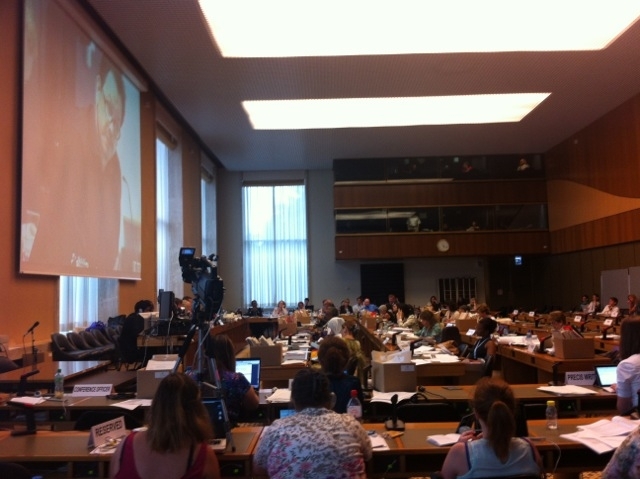 Such was the case in July, when I attended the 55th CEDAW (the Convention on the Elimination of all forms of Discrimination against Women) session and the UK examination at the United Nations in Geneva on behalf of YWCA Great Britain. To the casual observer, only a troglodyte of a country would not comply with the treaty which many have labeled the International Bill of Rights for women. Of course, the devil is always in the details and the cause of concern for the United Kingdom, whilst less overt than that of the country which had been examined the previous week (Democratic Republic of Congo), is marked by subtlety and intersection. The examination came after a year of immense struggle. Recent policy changes, namely the introduction of the Equality Act, austerity measures and the Welfare Reform Act have had a regressive effect on the rights of girls and women in the UK. Even more unsettling are members of the current government, led by Theresa May, Minister for Women and Equalities, stating that they are currently looking at options to repeal the Human Rights Act and also leave the European Convention on Human Rights. Seeing that CEDAW is the Human Rights treaty for women, the above directly contradicts the Government’s repeated statements during CEDAW55 that they take the treaty ‘very seriously’. The Government was asked over 100 questions and participated in the dialogue with the United Nations for the better part of 6 hours. By UN standards, the examination was a damning one and the formal recommendations proposed by the UN and published at the end of July solidified this. No bones about it, the UK CEDAW report card isn’t great for a country which has always considered itself ahead of the proverbial curve where women’s rights are concerned. The Committee did not prevaricate where recommendations were urgently needed. Issues borne out of the Universal Credit system (one of the major elements of recent Welfare Reform Act), were exposed as not having undergone a gendered assessment and as such, the Committee urged the Government to adopt measures to prevent manipulation of the system by abusive male partners. Further recommendations related to economic policy focused on ensuring that government spending reviews continuously and wholly focus on balancing the impact of the austerity measures on women’s rights. And it wasn’t just benefits that felt the brunt of the war on welfare. Access to legal aid was cut as well and here, the UN strongly rebuked the Government and implied that reforms must be looked at again to assess the impact on how women are protected. Further to this, the Committee requires the UK to now unequivocally provide access to justice and healthcare to all women, regardless of their immigration status or nationality whilst they’re in the United Kingdom. Part and parcel of this, the UN also want to see the establishment of a framework to nationally address trafficking and urges the ratification of the Istanbul Convention to criminalise forced marriage – both of which are rife in the UK. But the recommendations that were most localised to the UK context revolved around the more subtle nature of patriarchy and sexism at work in the country. The Committee now calls for measures to work with media outlets to eliminate stereotyping and objectification of women in the media, with express emphasis on the advertising industry. On top of this, they’re calling for implementation of a regulator to intervene in matters such as this and of discriminatory, sexist reporting. This is a first. In all, the UN’s full recommendation list is 11 pages, and interestingly is largely based on the direct input from the NGOs involved in the process. [i] Proving again that NGO participation is crucial for a democratic process like CEDAW to be more than just two wolves and a sheep voting on what to have for dinner. The UN now requires the UK Government to report on their progress within a year’s time as well as the year following. By then – July 2015 – an election will have taken place in Britain and we’ll know if the Government really takes its obligations under International Law seriously or if they just know how to take a punch.